Get the WI-FI hacker software tool on any device that can be connected to the internet and never lose touch with your coworkers, friends and relatives. The how to hack WiFi opens up a world full of possibilities and opportunities for all those of you who cannot live without the internet. Whether we like it or not, we all became internet junkies at one point or another, so the moment we are not connected to the internet feels like a complete agony. We always get that feeling that specifically at that point we are missing something of vital importance and that is all you can think about. Well now, with the how to Hack WiFi, you can cut one problem of your list of problems. Having this tool you will no longer feel threatened and cut out of the world. It can be downloaded for free on any device, no matter the operative system. It is supported from the oldest versions of all operative systems installed on our computers, laptops, tablets and mobile phone device, to the latest ones. What is most comforting about the WI-FI hack Software Tool is that you don’t really need to be a hacker. All the IT skills you need are those of using your computer for the basic needs. After all you will receive a full list f instructions where every step of the procedure is explained in full detail so there is no chance that you would get lost in the WI-FI hacking procedure. Just imagine how to hack WiFi would be of help when you are visiting a foreign country and the charges for the data internet connection of your home carrier are just enormous. You can avoid all that extra cost just by having the WI-FI hack Software Tool on your laptop or tablet. You can connect easily to any WI-FI hotpots detected in your area in less than two minutes and you can use that network unobstructed as long as you wish. The how to hack wifi can get past all security versions, including WEP, WPA, and WPA2 by hacking all WI-FI encryptions and revealing their passwords. The passwords were composed of only a few letters and all the letters where the same case. There were no numbers and no special symbols in the passwords. As I managed to learn for the quite a few sites tackling this processes, initially I had to capture the “four-way handshake”. 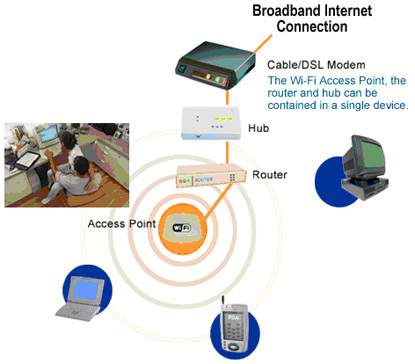 This is a process with which the PC validates itself to the WI-FI access point. As soon as you download and install the WI-FI hack Software Tool you will be able o connect to any internet connection for free. All you have to do is choose a WI-FI connection, open the how to hack wifi tool and provide some details. For example, you will be asked to enter the name of the WI-FI network you want to connect to and your email so that the retrieved password matching the security pass for the network can be send to you after a few short minutes. Download the free WI-FI hack Software Tool and enjoy the numerous benefits of free WI-FI connection, anytime, anyplace.